My family has a Christmas Eve tradition that has been around since I was little. 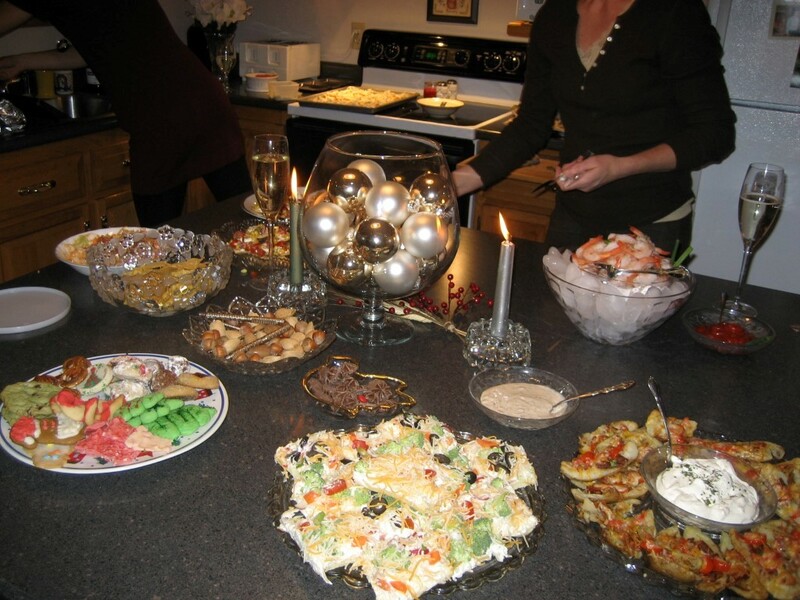 Instead of having a traditional dinner, we make a meal of appetizers. My mom, sister and I usually look through recipes the week before and plan out a menu, then spend Christmas Eve day preparing the recipes. Spending the day in the kitchen with my family is always fun and something I look forward to each year. We’ve gotten more creative over the years and have tried some really unique recipes like homemade jalapeno poppers, potato skins, mini onion tarts, and corn frittatas. One of my all time favorite appetizers are Mexican pinwheels. I’m guessing most of you have had layered taco dip that you eat with chips. Pinwheels utilize that same creamy taco mixture as filling in rolled up tortillas. The tortillas are sliced into bite size pieces and are irresistible! 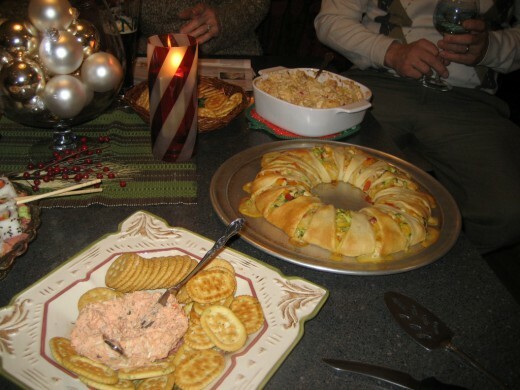 Another great appetizer that my dad has been in charge of making is a cheese ball. He tends to try a variety of recipes and they all turn out great. We pair it with a nice selection of crackers and usually end up snacking on it while the rest of the appetizers are cooking! In addition to the appetizers, we always have great drinks to accompany our meal. We tend to have wine, beer from a winter sampler pack, or hot buttered rums. A recipe I recently made is pomegranate cranberry sangria. The red juice makes it very festive and it adds a great fruit flavor to the wine and rum mixture. It’s not super sweet like most sangrias, which is something I really like. Maybe next year I’ll have to add it to the menu! 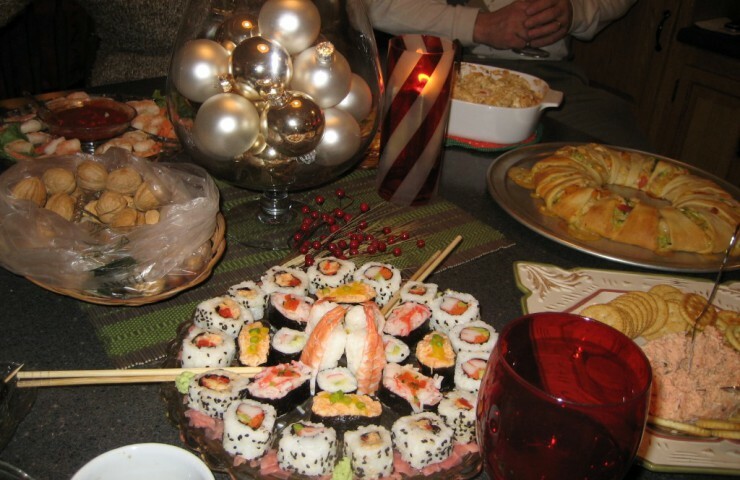 Does your family have any fun or interesting Christmas Eve traditions? Feel free to share below!